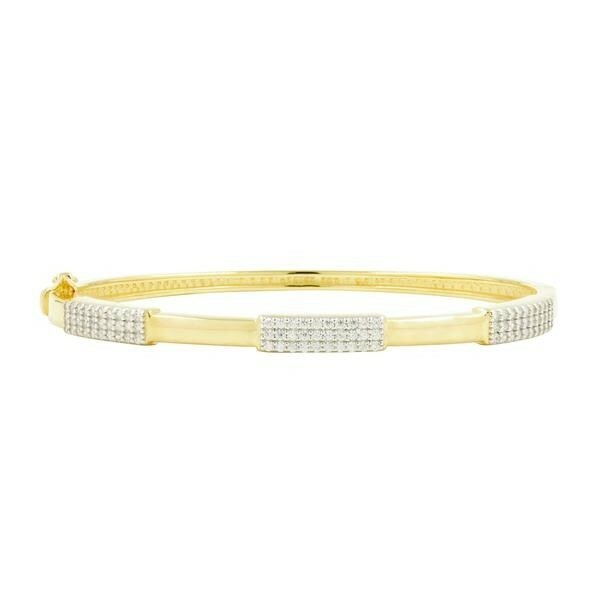 Sterling Silver Radiance thin hingle bangle plated in 14k yellow and hand-set with cubic zirconia stones. Sterling Silver Radiance thin hingle bangle plated in 14k yellow and hand-set with cubic zirconia stones. Freida Rothman collection.